Do you need a solution for your disorganized garage? But where should you start? What products and professionals should you trust? That’s where we come in. 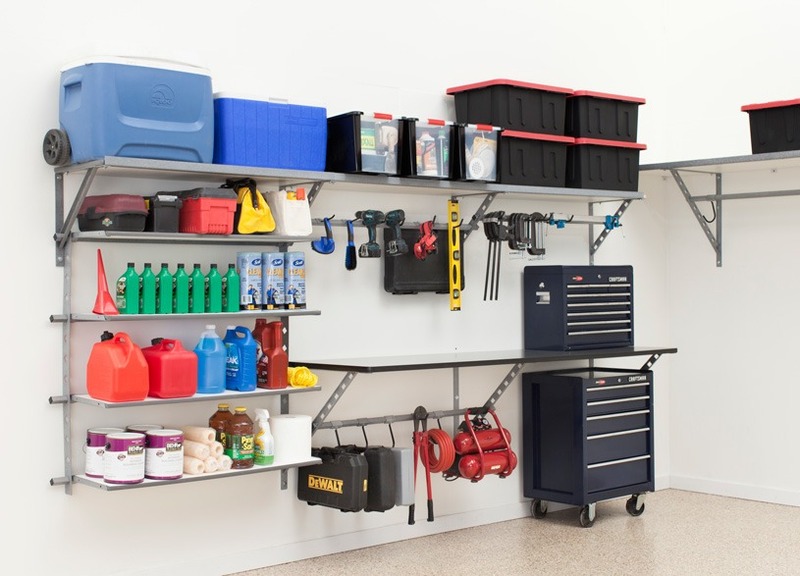 Our garage organization in Miami can maximize your garage space by getting your belongings up off the garage floor and stored on one of our products such as garage cabinets, shelving and overhead storage. Do you feel as if there is never enough space in your garage? With our products you can utilize wall space and free up floor space. Our garage organization in Miami can be tailored to your storage needs and budget. Our garage consultant can design a plan around your budget to solve your organization problems. We provide a service that big box stores simply cannot compete with. We will be there through the whole garage organization process, and we will even help you store your things after our product is installed. Your garage organization is important to us. -Increase the square footage by 50% in your garage by hanging your things on our powder-coated, steel products. -Easily adjustable to accommodate all growing storage needs. -Our steel racks are powder-coated to hold your heaviest items. Can’t find what you need in your cluttered garage? We have the solutions for you. Contact us today for a free estimate today.